Dalek Cake Stand? Dalek Cake Stand. It's a Dalek. Specifically designed to hold cupcakes. Oh my God. 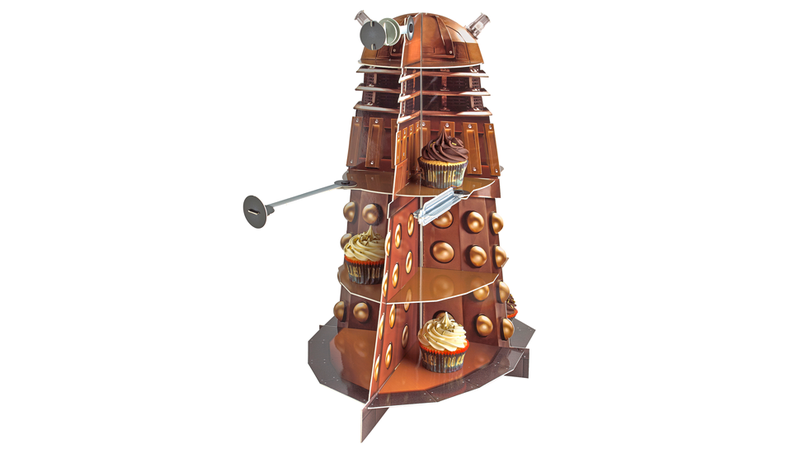 Coincidentally, the Dalek Cake looks like it's been at the Dalek Cake a bit too much.